From the earliest days, written communication perpetuated the message of the Church of God. In the Gospel Trumpet, as well as countless books, pamphlets, and tracts, writers wielded the power of influence through teaching, informing, and encouraging readers across the country and around the world. While technology has fueled a shift to other media and communication methods in recent decades, books—available as hardcopies or on e-readers—will never go away. Avid and casual readers know there’s still something intangible and simple about books, captivating the imagination and stirring the soul. Perhaps that’s why hundreds—if not thousands—of Church of God pastors and laypeople have authored at least one book. It would be impossible to capture all of their thoughts in a single article. Nevertheless, a sample of four Church of God authors were interviewed recently by Church of God Ministries (CGM): Bill Konstantopoulos, Glenn Koster, Bob Highlands, and Mark Jackson. Their perspectives offer a glimpse into the world of writing books in the Church of God movement. CGM: What is your background in the Church of God? Bill: I was born in Greece and was converted at the age of fifteen through reading the New Testament. At the age of seventeen, I felt God’s call upon my life and then divine providence brought me to the Church of God in Athens. On September 7, 1962, I boarded a plane in Athens with a Bible in my hands, $35 in my pocket, a small suitcase with a few clothes, and two hundred words of the English language—plus a lot of faith! I graduated from Gulf Coast Bible College in Houston, Texas (Now Mid-America Christian University. I have pastored in Saltville, Virginia; Johnson City, Tennessee; and Winchester, Kentucky. I served as a Church of God missionary to Puerto Rico and Argentina. I served in various positions for state assemblies, vice chair of the General Assembly, and on the Ministries Council. I served as chair of Pastors’ Fellowship for thirteen years. At the present, I serve as sort of a preaching interim pastor at the First Church of God in Morehead, Kentucky. Glenn: My first association with the Church of God came while I was dating my wife. We were married in 2012, at which point I became a regular member of First Church of God in Hutchinson, Kansas, where I am actively involved today. I serve on the media team. I am a member of the church council (third year now). I teach an adult Sunday school class for seniors on Sunday mornings and an adult Bible study on Sunday evenings. I am currently in the credentialing program for the Church of God in Kansas-Northwest Oklahoma. Bob: I began attending a Church of God congregation while in high school in Lawton, Oklahoma, after being invited by three close friends. I made a personal commitment to the Lord at a youth camp a couple of years later after my first year of state college and, at the same time, felt called to ministry. I graduated from Gulf-Coast Bible college (now Mid-America Christian University) in 1975 and went into full-time ministry. Thirty-two years later I had the privilege of receiving my MTS as part of the first group to graduate from the Anderson University School of Theology online course in 2007. I had gone back to school as part of my personal preparation to finally begin writing the books I always wanted to write. 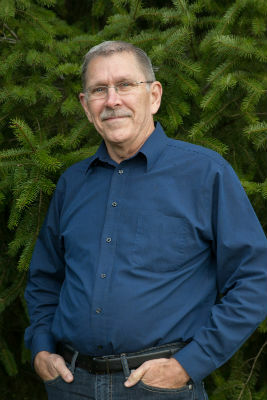 I have pastored smaller churches most of my ministry, served as the regional pastor for the Pacific Northwest Association, and have served Sonrise Church of God in Olympia, Washington, as the pastor for over nineteen years. Mark: My great-great-grandfather was a Church of God minister, and his influence extended down to my immediate family so that I was raised in a Church of God congregation. I was ordained as a Church of God minister in 1997. 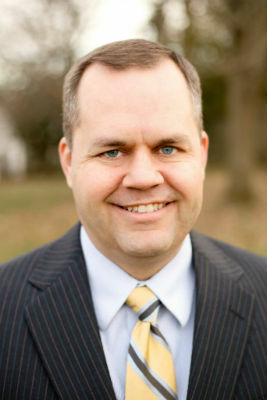 I served as the associate pastor at Towne Boulevard Church of God in Middletown, Ohio, for nearly seven years, and I’m currently the senior pastor at Larchmont Church of God in Louisville, Kentucky. I’ve been at Larchmont since 2005. CGM: How did you get your start in writing? Bill: When I entered the pastorate, I became fully aware of the power of the printed word; therefore, whether I did a bulletin or I wrote a weekly article, I wanted to communicate a clear message. My wife, Kay, was the first person to challenge me in writing. After reading an article which I had written or listening to a sermon that I have preached, several times she said, ‘You need to write a book on the Holy Spirit.’ Then people in the church and pastors who were reading the articles on our newsletter urged me to write; dozens of people through the years urged me to write my life’s story. But I had never thought of writing or publishing books. Then, in 2007, while still pastoring in Winchester, Kentucky, my wife and I felt that probably it was time and within God’s will to retire from the pastorate and become available to the church at-large for ministry and, if possible, do some writing. In 2010 the first three books came out, with Warner Press publishing, The Holy Spirit With Us. Glenn: I got started as a writer on a professional level many years ago when I was asked to write some technical articles for the HP-3000 NewsWire, a very narrow tech magazine for the now defunct HP3000 computer community. I have also been writing poetry and some personal reflection pieces since high school. 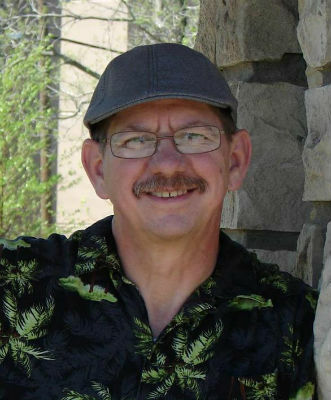 In the mid-1990s, I began to branch out and develop some of the stories I had collected through the years into an e-zine called Heaven Bound… In 1999, I took up serious writing again when I started as a part-time reporter for the Great Bend Tribune in Kansas…. Indeed, I was abandoned at age six, adopted, removed from that home a year later because of abuse and neglect, and re-adopted at age ten. As an adult, I became both an alcoholic (sober since March 1989) and a spousal abuser (violence free since May 1989). Most who know me are keenly aware that my early life was a difficult one…. It is imperative that others see the hand of God in their lives. I hope to be able to offer a perspective that helps them to realize, accept, and appreciate his love. Indeed, writing and sharing my life stories presented the best avenue. Bob: I have always wanted to write, but did not actually get started until after I went back to school in 2004. It was then I started by writing a small leadership manual. I had been writing a blog for several years that had forced me to develop my own writing style and acquire the discipline I would need to tackle larger book projects. I keep a list of book ideas I want to write. This keeps me focused and watching for ideas to help with illustrations and direction for future books. Mark: I love to read, and I love to write. I write devotions for the weekly church newsletter, and I occasionally write an article for a Christian magazine. After becoming a Christian, God put a desire in my heart to read and write. I am an avid reader and will read about anything I can get my hands on. I’ve learned by reading that a book can have a huge influence on a person’s life and ministry. This is one of the reasons I wanted to write a book myself. One of my goals after entering full-time ministry was to write a book. I wrote this goal down along with other goals I had, both short-term goals and long-term ones. Thankfully, I can now check this goal off my list, though I do hope to write more books in the future. 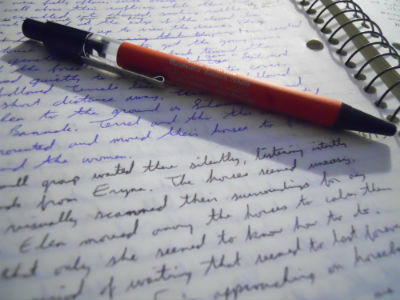 CGM: What has the writing process taught you? Bill: For me it has been a wonderful experience of discipline to maintain my own spiritual health and be true to biblical truth. Always, I ask myself, Why writing? What is there that motivates me? How relevant is it in the life of people and the life of the church? Does it address a need in the life of the church? Does it provide a solution? In the process of writing, I have learned 1) trust and confidence in the Lord—all inspiration comes from him, 2) discipline in time and thought, 3) how to avoid a casual approach to the Word, and dig deeper, 4) if there is a passion in the heart, it will touch the hearts of readers, 5) the amazing ways the Holy Spirit guides us, 6) how to analyze the message and practices of the New Testament church and make comparisons with the present-age church, and 7) that God does not use a mold to make us alike, but uses what we have and is not limited by our inabilities. Glenn: There are several lessons I’ve learned from this experience. First and foremost, it has taught me to look for God’s hand in every situation. Even when we can’t see him, he is present. It has taught me that patience is a virtue. I have often been an impetuous person, but have mellowed considerably over the years. However, nothing prepared me for the lessons in patience I would have in getting this book to market. I experienced everything from writer’s block to delays with editing to legal questions. But this process has taught me to fully trust God—with everything. Finally, it has taught me that one must be aware of their own limitations and be willing to use the talents that God has given to others. I had a number of people that I have relied on heavily in this venture. Bob: The toughest part of the writing process is the discipline needed to complete the project. There is no one to look over your shoulder or check on your progress. Writing requires a commitment to the project through long hours, weeks, months, and sometimes even longer to see it to the end. There are times when working on a book project I understand how the ancient mariner felt with the albatross draped around his neck. Writing is a discipline and a calling that requires dedication and work for even what may appear to be the simplest book project. As I write, I find that God has to speak to me first before I can share it on the written page. This means I must be open to listening to him as he leads me and teaches me. I find that if I am looking for an answer, it avoids me. But if I allow God to lead me, I find where he wants me to go and learn in the Word. Mark: I have learned that writing is one of the best ways to learn and grow. By writing you realize what you know and what you don’t know. It forces you to think clearly about your beliefs and ideas and to communicate them in a way that is understandable for readers. Writing is enjoyable, but it isn’t easy. One of the hardest parts of writing was letting go of my manuscript so that it could be printed. You can always say things a little differently or add one more insight or illustration to your work. But at some point you have to release it into God’s hands and allow the public to read it and hopefully benefit from it. It has helped me to view the writing process as a conversation I have started or joined in. I look forward to any dialogue it encourages and what I can learn from the process. CGM: Tell us a bit about your latest book. Bill: Sobering Truths for Believers and Other Seekers is a must-read for every genuine believer who wants to grow spiritually, mature, and find his or her place in the kingdom of God and its mission in the world. It is an in-depth study and analysis of the book of Acts, and sets forth the three sets of spiritual dynamics which made the difference in the early church and could make the difference in the church anywhere. Glenn: Life Is a Long Story Short is a collection of short stories that I hope will you to understand that many people struggle, but it is what they do with those struggles that help to preserve their faith, even under the toughest of circumstances. All of these stories are based on real-life experiences, either from my life or in the lives of people that I have known. Life is a long story, with twists and turns at points we frequently do not expect. When we think we finally have life figured out, time and again we find we have to start all over. The inspiration gleaned from the lives of others are often vital resources during life’s struggles. All of the stories are truly short-short stories, with most ranging from 750 to 1,000 words and all are designed to teach basic principles of Christian faith. My aim is to start at the basics—not only for those just learning to walk with Christ, but also as refreshers for those who have walked a lifetime. Written at the upper junior high school reading level, the book is an excellent source of inspiration, but is also useful for conversation in families or small groups. Bob: The latest book I have written is called Last to Leave. It deals with making the teaching about the end of time understandable and consistent with the Word of God. It has key sections dealing with the destruction of Jerusalem and the end of time in Matthew 25–25, and the simplifying of the prophecies in the book of Revelation. The book is designed to put the current popular teachings about the end of time into a biblical perspective and to introduce the reader to the amillennial point of view. I strive to write in everyday language and to avoid using theological terms that can confuse the issues and the reader. With all the popular books on the subject from so many different points of view, I believe we in the Church of God reformation movement have to speak with a clear voice on the subject of the end of time. Mark: The title of my book is A Closer Look at God’s Church: A Biblical Evaluation of Key Beliefs of the Church of God. I look at ten key Church of God beliefs from a biblical perspective. These beliefs are as follows: the authority of Scripture, salvation and church membership, the assurance of salvation, church ordinances, victory over sin, the work of the Holy Spirit, conditional security, divine healing, Christian unity, and the kingdom of God. I write out of great appreciation for our heritage and tradition, but the goal of this book is not to be traditional or anti-traditional. The goal is to examine our beliefs under the light of Scripture and then to reaffirm and recommend these beliefs, while also clarifying and critiquing them when necessary. It is not a polemical book, but a positive one that intends to be constructive. It is written with the entire movement in mind, not just one section of it. I make it clear that I do not write for the Church of God, but I do write to the Church of God and as a Church of God minister myself. I think by reading this book a person will gain a solid understanding of what the Church of God believes and why that’s important. 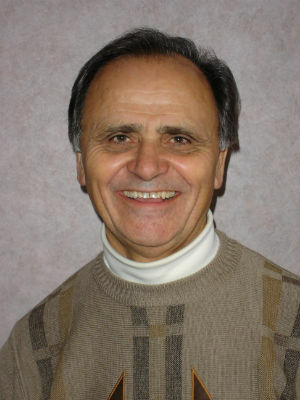 Bill Konstantopoulos: Purchase Sobering Truths for Believers and Other Seekers on Amazon.com or from Barnes and Noble. You may also contact Bill at 154 Teal Lane, Winchester, KY 40391 or by e-mail at billckonsto@gmail.com. Glenn Koster: Purchase Life Is a Long Story Short on Amazon.com, from Barnes and Noble, or WestBow Press. Secure an autographed copy directly from Glenn by e-mailing glenn.koster@gmail.com or at Hope for Life’s Journey, 401 E 10th Ave, Hutchinson, KS 67501. Bob Highlands: Secure a FREE copy of Last to Leave as a PDF download at www.bobhighlands.faith/books. Mark Jackson: Purchase A Closer Look at God’s Church: A Biblical Evaluation of Key Beliefs of the Church of God at Amazon.com or from Barnes and Noble. This entry was posted in All Church of God and tagged A Closer Look at God's Church, authors, Bill Konstantopoulos, Bob Highlands, books, Glenn Koster, Last to Leave, Life is a Long Story Short, Mark Jackson, Sobering Truths for Believers and Other Seekers, writing. Bookmark the permalink.